Between 1905 and 1930, more than one hundred thousand Jews left Central and Eastern Europe to settle permanently in Argentina. 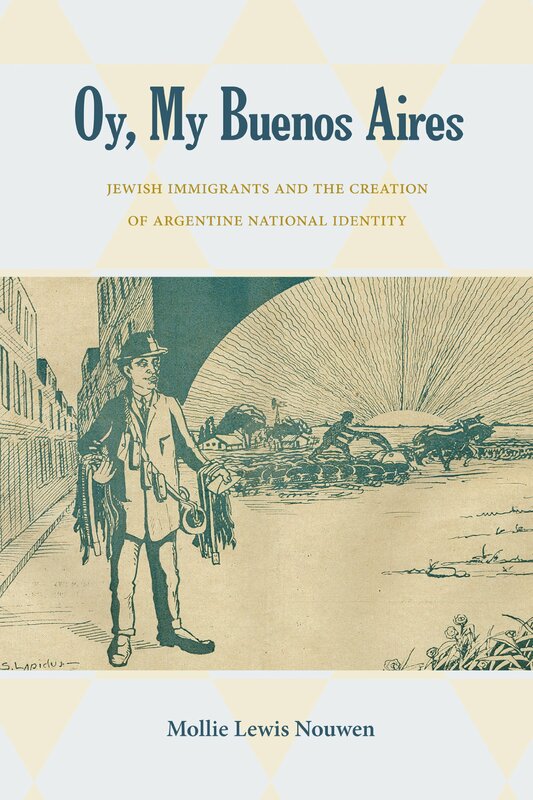 This book explores how these Yiddish-speaking Ashkenazi immigrants helped to create a new urban strain of the Argentine national identity. Like other immigrants, Jews embraced Buenos Aires and Argentina while keeping ethnic identities—they spoke and produced new literary works in their native Yiddish and continued Jewish cultural traditions brought from Europe, from foodways to holidays. The author examines a variety of sources including Yiddish poems and songs, police records, and advertisements to focus on the intersection and shifting boundaries of ethnic and national identities. In addition to the interplay of national and ethnic identities, Nouwen illuminates the importance of gender roles, generation, and class, as well as relationships between Jews and non-Jews. She focuses on the daily lives of ordinary Jews in Buenos Aires. Most Jews were working class, though some did rise to become middleclass professionals. Some belonged to organizations that served the Jewish community, while others were more informally linked to their ethnic group through their family and friends. Jews were involved in leftist politics from anarchism to unionism, and also started Zionist organizations. By exploring the diversity of Jewish experiences in Buenos Aires, Nouwen shows how individuals articulated their multiple identities, as well as how those identities formed and overlapped. Mollie Lewis Nouwen is assistant professor of history at the University of South Alabama.